a businessman rather than a scientist. Lacking scientific credentials and defensive about his working-class background, he craved publicity and was prepared to sacrifice truth in pursuit of his goals. A complex and controversial figure, The Economist accused him of being ‘a rogue, a falsifier, and a manufacturer of evidence’. Why did reputable psychologists collaborate with him? The Society for Psychical Research was founded in 1882 in an era of spiritualism. Many of its members and presidents were and are psychologists. World War I led to increased interest in telepathy and the possibility of survival after death as a result of the massive number of bereavements. Membership of the SPR reached a peak in 1920. However, by 1930 it was in disarray, split by factions, and several rival institutions stepped into the breach. Amongst these was Harry Price’s National Laboratory of Psychical Research, which opened in 1926 with ‘a flurry of media attention’. The Laboratory specialised in the study of physical mediums, i.e. those who demonstrated physical phenomena such as levitation, apports (the movement of objects without apparent cause), ‘ectoplasm’ (a white substance, taken as materialisations of the dead by bereaved sitters) and false limbs. Such mediums had the advantage of providing spectacles for the public as well as observable data for scientists. Price prided himself on his scientific approach and amassed an enormous amount of equipment to demonstrate this: cameras, dictaphones, rheostats, timing devices, ultra-violet and infra-red apparatus and even an X-ray machine. Great pains were taken to attempt to prevent cheating. Mediums were searched internally and externally and sewn into a special garment with luminous strips attached. In one case, an electrical circuit was arranged – the medium and sitters were connected to each other by gloves and socks containing metallic strips: if the circuit was broken, a bell rang. Two notable mediums that Price investigated were Rudi Schneider and Helen Duncan. Rudi Schneider was a young Austrian who took part in over 50 séances at Price’s laboratory between 1929 and 1932. William Brown, then Wilde Reader at Oxford University and a Harley Street psychotherapist, attended seven – examining the medium, serving as a ‘controller’ and taking physiological measurements. On one occasion he witnessed ‘magnificent phenomena’: curtains billowing, a basket jumping about on his knee, something stepping on his foot, flowers flung out of a cabinet, a loud bang behind the sitters, a table top torn from its legs and flung over their heads. He wrote a letter to The Times describing his experiences, attributing them to some unseen agency and mysterious power, and recommending careful scientific investigation. Helen Duncan was a Scottish housewife, a sometime bleachworks employee, who married a cabinet maker injured in World War I, by whom she had 12 pregnancies and six surviving children. She weighed 17 stone and worked as a medium. She attended five séances at the National Laboratory in 1931, at several of which William Brown, William McDougall and Jack Flugel were present. Duncan entered a cabinet, went into trance, was taken over by a ‘control’ (a trance personality) and produced ectoplasm. Price delighted in taking stereoscopic photographs. He became convinced that Duncan was swallowing cheesecloth when in the cabinet, which she then regurgitated – not easily seen by sitters in the red light. So he arranged for her to be X-rayed after the fourth séance. Duncan evaded examination by staging a hysterical fit. It was then striking midnight. It subsequently transpired that Duncan had passed the cheesecloth to her husband during the fracas; he refused to be searched. Duncan was convicted of fraud on several occasions. 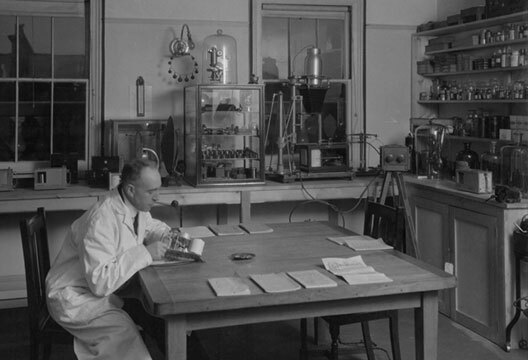 Faced with problems over the accommodation of his laboratory, Price explored possible collaborations but without success. In 1933 he made a formal offer to the University of London to found a Department of Psychical Research. He was prepared to donate his equipment, a large collection of relevant books and an annual stipend. The offer was considered by many boards and committees of the University. Jack Flugel, as secretary, helped steer it through the Board of Studies in Psychology. In the end the idea was approved in principle – psychical research was deemed suitable for university study, at least at postgraduate level – but the offer was declined on account of limited space and finances. Despite this, the following year Price managed to set up a ‘University of London Council for Psychical Investigation’. This consisted of four psychologists (Jack Flugel and Cyril Burt from University College; Alec Mace from Bedford College and Francis Aveling from King’s College), two philosophers (one of whom was Cyril Joad, the well-known broadcaster), a theologian, a physicist, a physician and a mathematician, plus Price as director and his secretary. The Council was to oversee research with funds provided by Price; and research was indeed conducted in all three colleges. Burt had his wife carrying out card-guessing experiments. Flugel took part in a television broadcast of fire-walking at Alexandra Palace, in which Freddy Grisewood was the commentator. Burt and Flugel, together with their wives, visited the haunted Borley Rectory with Price. Burt, as head of the Department of Psychology at University College, received Price’s equipment, though the Provost of the College thought it unwise to hold séances in a laboratory frequented by younger students, as undesirable rumours might get about. The X-ray machine went to Guy’s Hospital. Price’s books were donated to the University Library (where they remain to this day); it took three days to move them. The University wined and dined Price at the Athenaeum. For a while Price managed to keep both academics and journalists on board. But members of his Council became irritated at his sacrifice of truth in pursuit of publicity and his disregard for them. On Joad’s recommendation, the Council was wound up in 1938. Ironically, given Price’s frequent exposure of cheating in others, he was accused of fraud and deception himself (Gregory, 1977; Hall, 1978) and, as in the case of Borley Rectory, of creating phenomena (Dingwall et al., 1956). So why did the psychologists collaborate with him? Several reasons can be adduced: Firstly, there is evidence that McDougall interested Brown, Flugel and Burt in psychical research while they were students of his at Oxford. Secondly, McDougall, Brown, Burt and Mace espoused vitalist and dualist doctrines. Psychical research offered the possibility of providing evidence against what they regarded as materialist and mechanist dogmas. McDougall saw this as a moral issue. Thirdly, psychology was still at a transitory stage at this period, in the process of establishing its boundaries. Paranormal phenomena were regarded by many as part of the subject matter of psychology. A key factor in the mutual attraction of Price and the psychologists may have been their common enterprise in straddling the still fluid boundaries between professional and amateur. They aimed to assert scientific authority and expertise while also appealing to the general public. Thus Price flaunted his equipment and courted journalists, such as the editors of Nature, The Listener and the Daily Mail. The academics had established scientific credentials but took an active part in public life, advising the government, lecturing, writing popular books and broadcasting. Their relationship reveals much about the negotiations that psychologists engaged in at this critical period in their history. A more detailed account can be found in Valentine (2012). Dingwall, E.F., Goldney, K.M. & Hall, T.H. (1956). The haunting of Borley Rectory. A critical survey of the evidence. London: Duckworth. Gregory, A. (1977). Anatomy of a fraud: Harry Price and the medium Rudi Schneider. Annals of Science, 34, 447-549. Hall, T.H. (1978). Search for Harry Price. London: Duckworth. Price, H. (1942). Search for truth: My life for psychical research. London: Collins. Valentine, E.R. (2012). Spooks and spoofs: Relations between psychical research and academic psychology in Britain in the inter-war period. History of the Human Sciences, 25(2), 67–90.